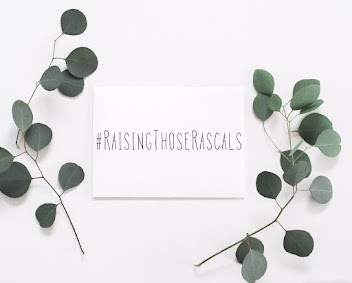 I wanted to share with you a resource that I was recently introduced to and am already benefitting from hugely as a blogger. 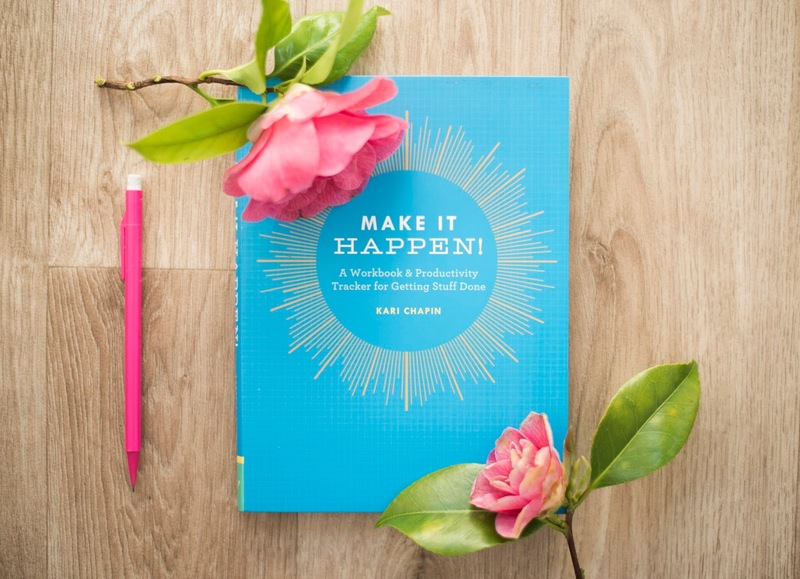 For anyone who feels the struggle to make the most of their time, to achieve everything they set out to in the day or to simply manage tasks more efficiently, this is a book that can really offer clarity and practical solutions. 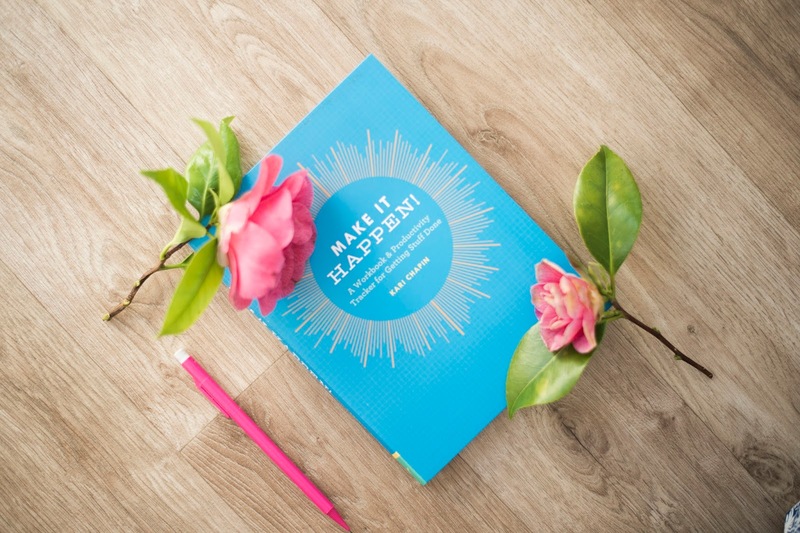 Make It Happen comes in the form of a workbook which works as a productivity tracker, enabling you to see your daily goals written down and how much time you attribute to each task. 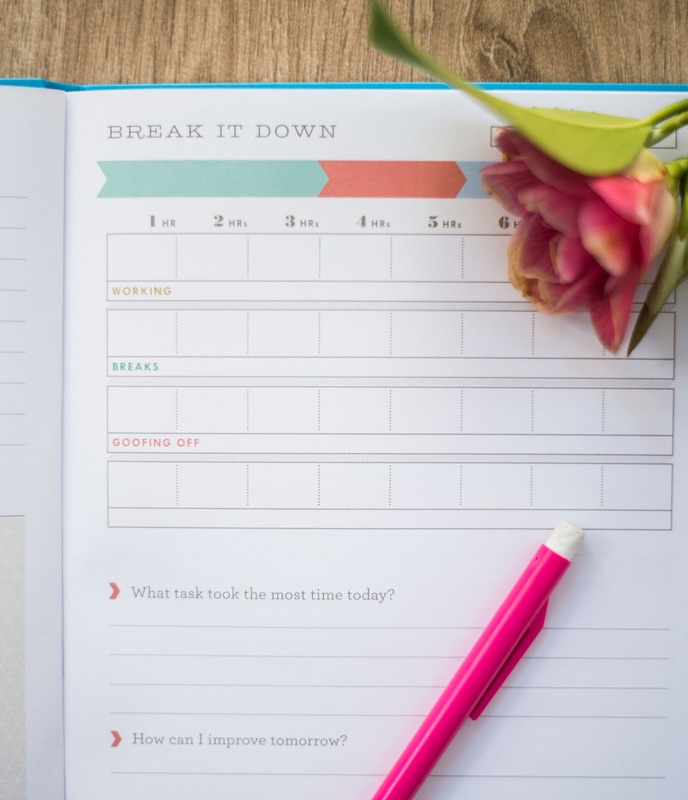 It encourages you to assess where you waste time in your day and how you can redistribute what time you have to be more efficient. In the blurb, Kari Chapin addresses a problem so many of us share. 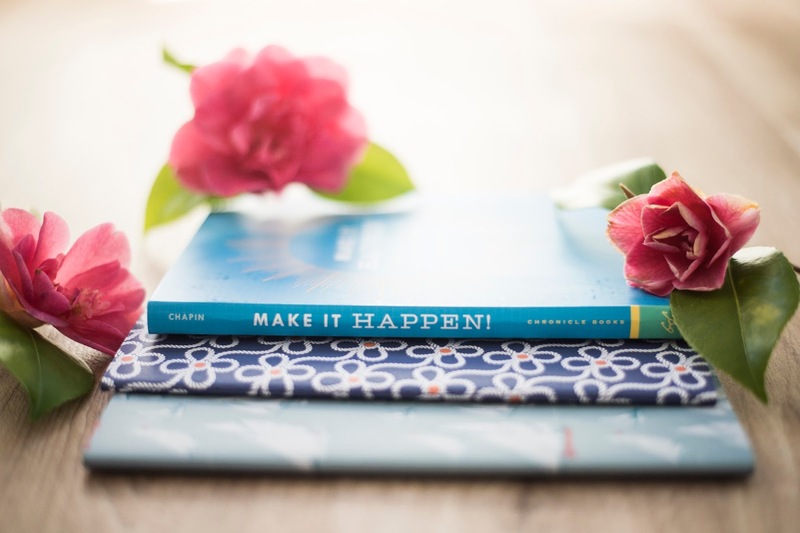 Often we feel our minutes and hours are passing by and, whilst we have been busy working, we can end up feeling as though we haven't accomplished enough. 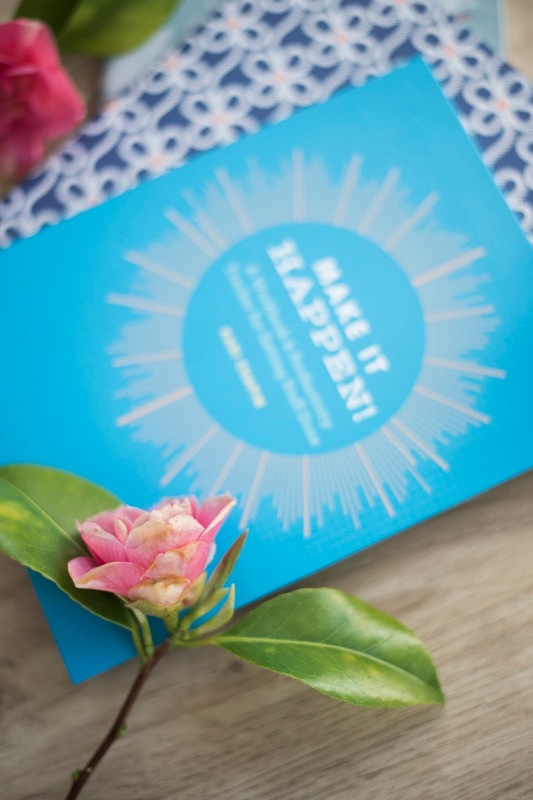 Of her book, Kari says, " Make It Happen! 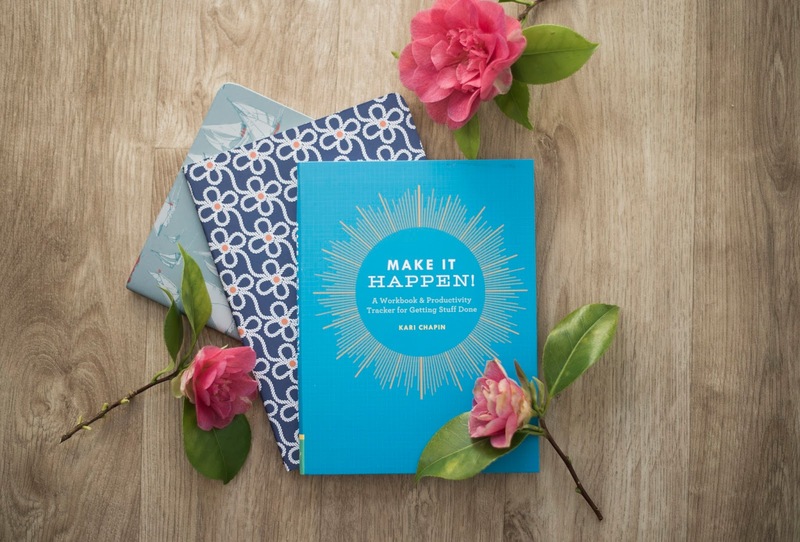 is designed to get your wheels turning and to help you determine what you can accomplish on any given day. 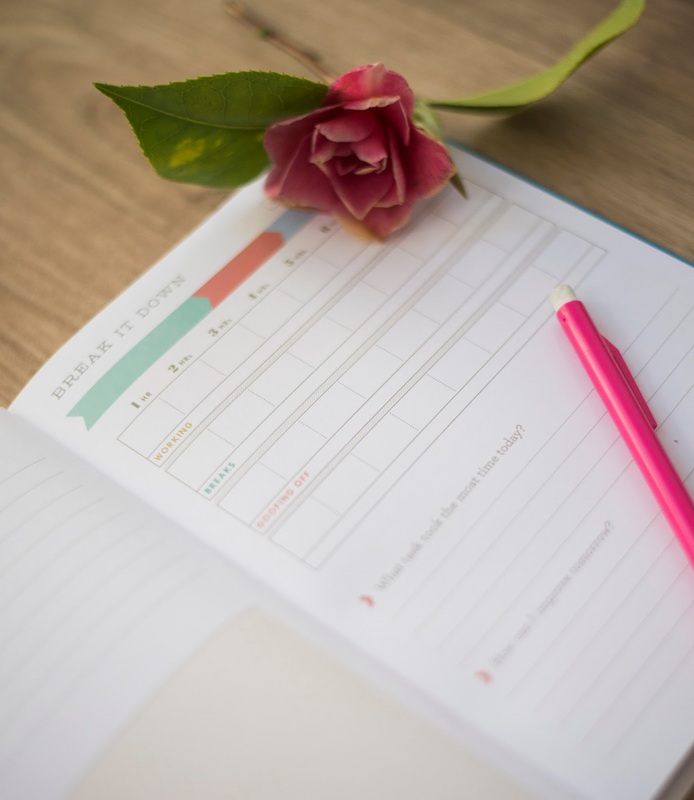 Setting goals-big and small- and checking them off a list feels good. It can provide you with real satisfaction, which can reinvigorate how you feel when it comes to your workload." 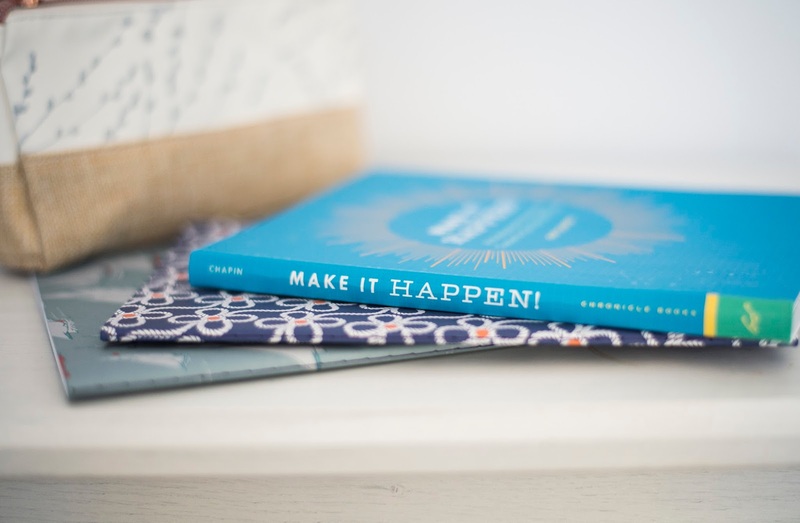 I've been loving using this little book, especially on those days where I have had blog related deadlines or particular tasks that I have had to achieve in a certain amount of time. 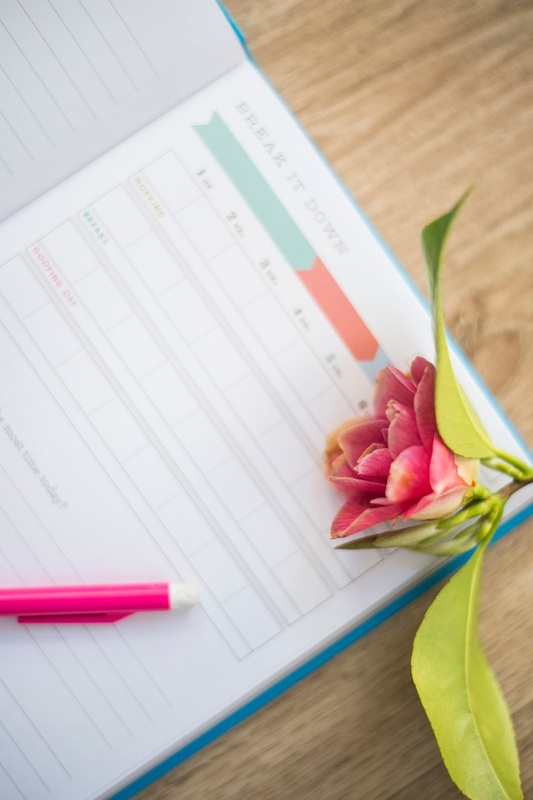 By writing them down and allotting time per task, you quickly learn your own individual working patterns and soon can identify ways to streamline your working day. It's also lovely that the book is so visually beautiful. 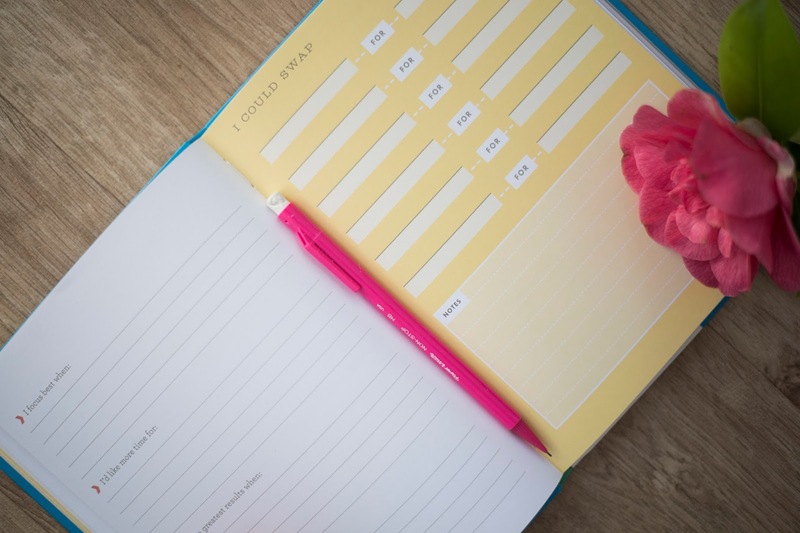 It certainly makes list writing, bullet pointing and general time management look far prettier than it really is which has to be a plus, right? Let me know if you've come across this book before, I'd love to know how you got on with it!